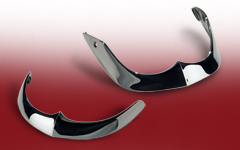 All Front Fender Tips are two-piece kits; Front of Front Fender/Rear of Front Fender (except where noted). * One-piece kit; Front of Front Fender only. 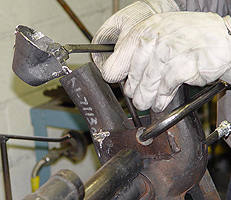 Create the perfect fender treatment for your cruiser motorcycle! 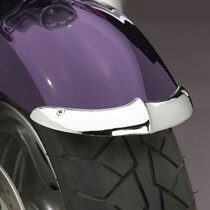 National Cycle Cast Fender Tips are an economical way to add that finishing touch to your customized bike.